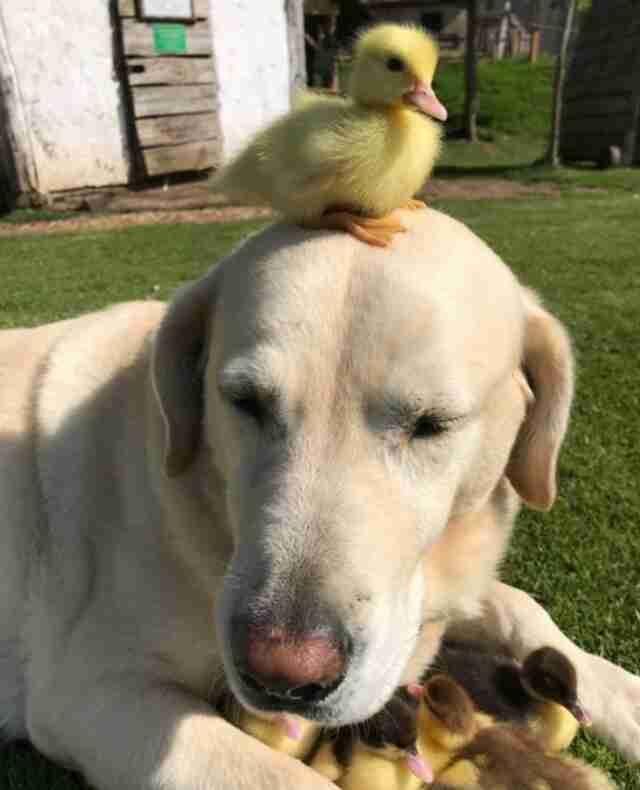 Fred the Labrador has grown up surrounded by animals of all shapes and sizes. As the resident dog of Mountfitchet Castle in Stansted, Essex, a reconstructed Norman castle, Fred has been a gentle and loving presence to anyone who visits the tourist attraction. 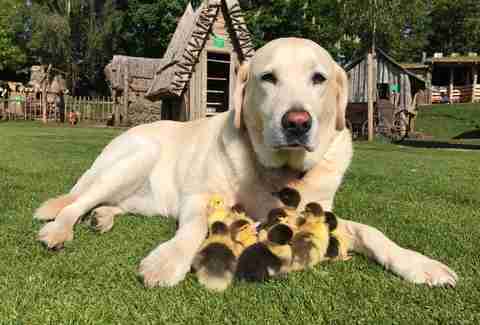 Now at the ripe age of 10, Fred’s paternal instincts are finally being put to the test. 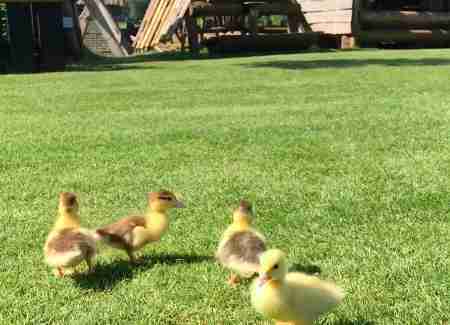 On Thursday, castle staff spotted nine little yellow ducklings aimlessly wandering the bustling grounds. The ducklings’ mom was nowhere to be found, though it is believed she may have been snatched by a fox shortly after her chicks hatched. Without a parent to guide them, the chance was slim that the ducklings would survive the perilous journey to water. 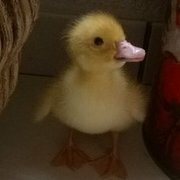 “The team were very worried about the ducklings, but Fred ... immediately took to them and has been babysitting ever since," a Facebook post explained. Fred may be a bit larger and furrier than the ducklings’ mom, but over the past week he has proved to be an ideal foster parent. When each day is over, Fred and his duckling babies sleep together in the same basket in the house. 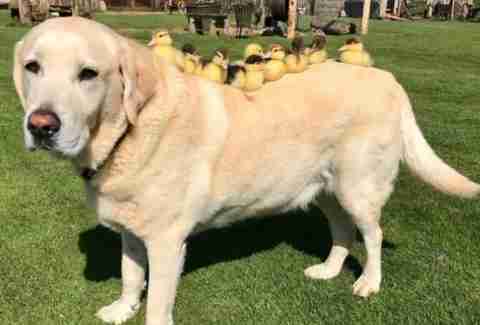 The ducklings rely on Fred to keep them safe and warm, and the Labrador has become accustomed to having nine tiny shadows. Fred will likely be a stay-at-home dad for the next two months before the ducklings fledge, becoming independent and able to fly proficiently. Though raising this family is time-consuming, Fred is definitely up to the challenge.